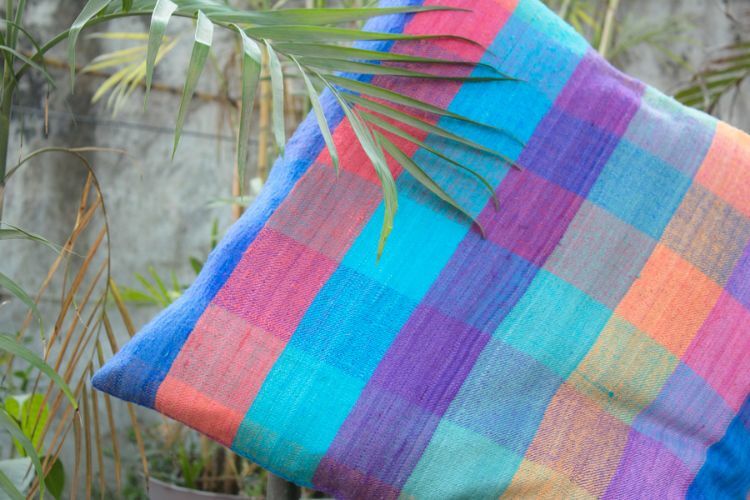 Eri silk hand spun into a rainbow of colours is then stitched to make this cushion cover which has a concealed zip at the bottom. The silk worm has already left the cocoon before processing the silk. In Little Flower Khadi & Village Industries Leprosy Rehabilitation Centre the empty cocoons are boiled to release the fine silk threads which are then hand spun, dyed and hand woven. Care: Gentle hand-wash or dry clean.